Luke Sirimongkhon’s photography invites us to rediscover wonder in the ordinary. He’s a natural observer with an eye for the disorienting, and a visual artist who doesn’t shy from failure or the unfamiliar. You can’t describe his style with a single word, nor should you try. He doesn’t subscribe to any aesthetic; just whatever mood he feels is right at the moment. So for Essential, he chose rich colors, supple textures, unconventional lighting, plus a camera he’s never used before. 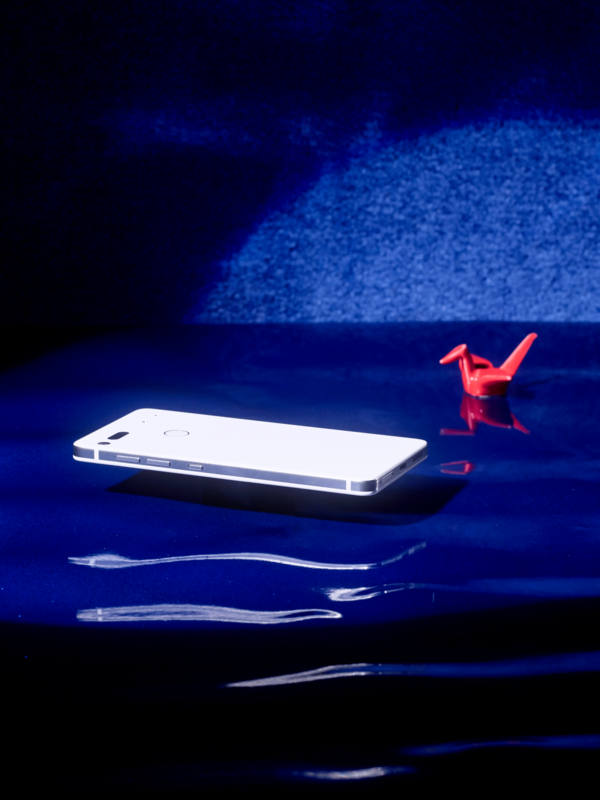 We sat down with Luke at his home in Los Angeles to discuss his artistic process for photographing Essential Phone, how he understands the world, and why humans are weird. I was born and raised in Kentucky, in a family of artists. Skateboarding was huge for me growing up, and why I first picked up the camera. Skaters didn’t care who you were, only if you were down to skate. The carefree lifestyle appealed to me, and having a community who was supportive allowed me to not restrict myself creatively. I shoot whatever I feel is authentic to me and people have gravitated towards it. I went to school for video, but when I came to LA, I got involved with set design. I loved production and how people created a scene. Then figured, that’s what I want to do with my photography. I wanted to tell stories through a single image and evoke the same emotion the way film does. It’s just been a cultivation of trial and error. I always think about how weird we are as humans and our behaviors. It’s like I’m in a fantasy world, so with my photography, I think of how to make something you see every day look like something you’ve never seen before. I think there’s beauty in the messiness of things. I like being a fly on the wall and letting whatever happens, happen. How does that translate into your aesthetic and approach? Photography’s been a wild ride, but I always start with what can I learn, and what can I do to push myself beyond my comfort zone. Even if it costs the entire budget, let’s try it. 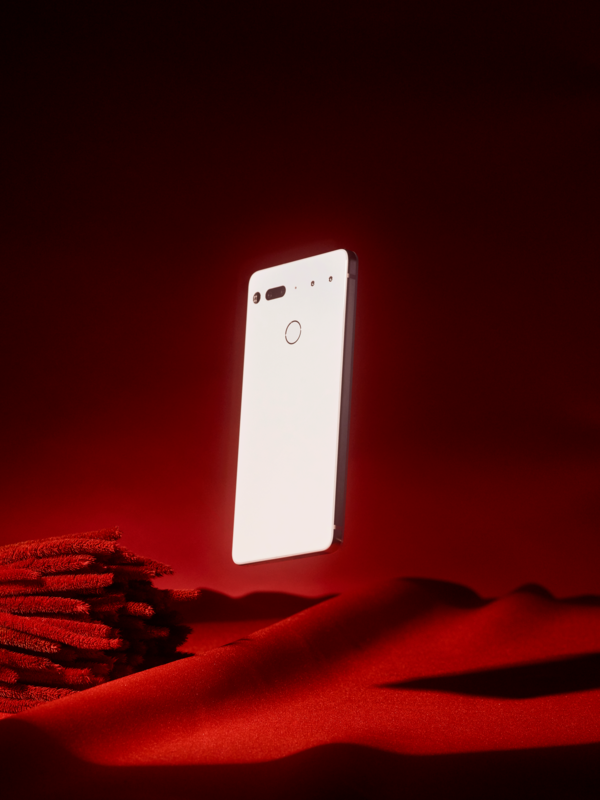 Essential Phone was your first product shoot. What was that like and what did you learn? I wanted to use a Hasselblad H5X body with a Phase One IQ3 digital back to capture product photography. I never used this camera before, so I knew there was going to be a learning curve. Even if things didn’t quite work out on set, you have to think on your toes and quickly problem solve, which is what I really enjoy. There’s constant creative growth in being resourceful. Now I’m in love with the camera and only want to shoot with it. What was your thinking behind the surrealist dreamscape for Essential Phone? My team and I played around with vinyl and hot lights to offer a warmer look on a familiar thing, to create a mood, to set the scene. We ended up with very two-dimensional shots, no real converging lines. That’s what made it look more bizarre, beautiful, and beyond just a product. The colors and textures were how I showcased what I enjoy most about the phone: its simplicity and sleekness. How are you liking using the Essential Phone? I love that I had to learn an entirely new device from the beginning. I saw it as a fresh start, and it’s been fun figuring out Android. My favorite feature is definitely the Black & White camera mode. You get a crazier dynamic between light and dark, especially during the daytime when the lighting is harsher. Essential Phone is intentionally unbranded. What does being unbrandable mean for you as an artist? No branding is branding! So it’s never about the brand. It’s about the people using the technology. Brands want to latch onto things that are proven in the market. They aren’t always willing to take the risk and trust the artist. It was cool that Essential let me and my team do our thing, even to show something like tangled headphones. We wanted to show how real people interact with their devices, smudgy screens and all. No one should be tied down to follow a template. Create what you want to create. Take your time. Figure it out. Don’t press too hard. See more of Luke's Essential Phone photo series and read about his approach to each photo on our Instagram page @ThisisEssential.